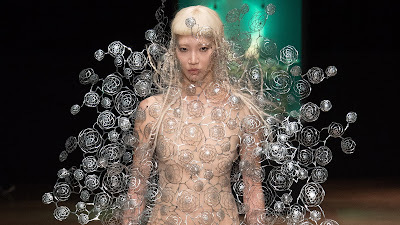 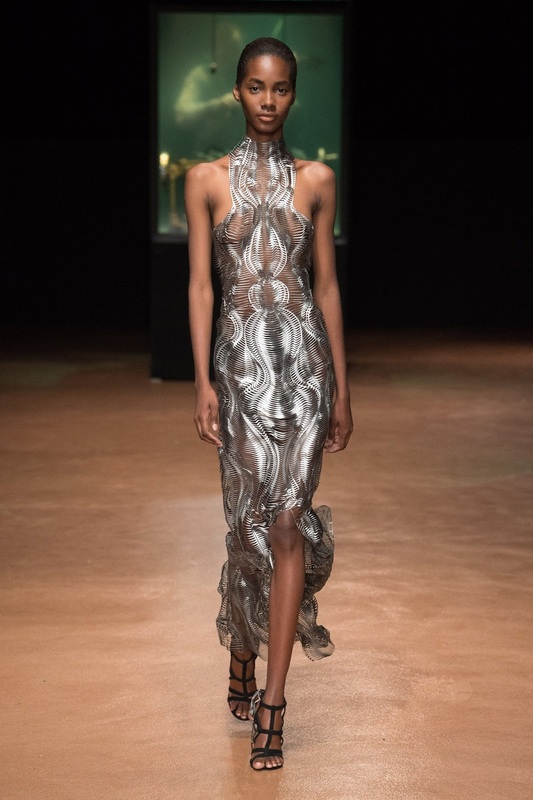 Iris van Herpen's latest collection presented at Paris couture show. 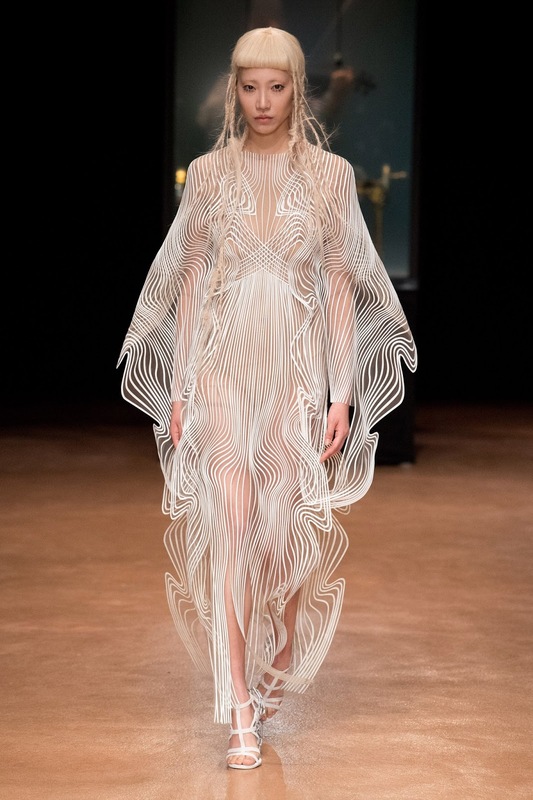 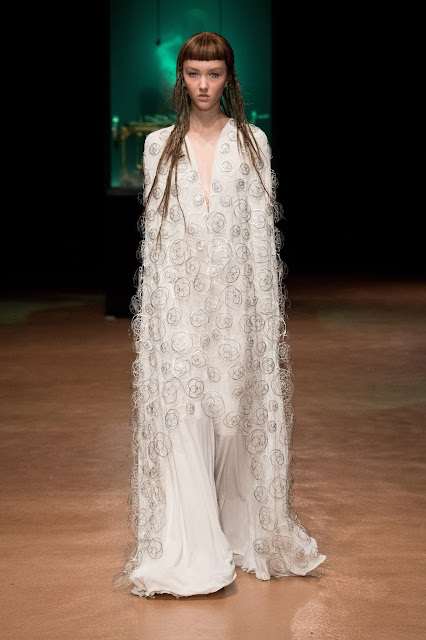 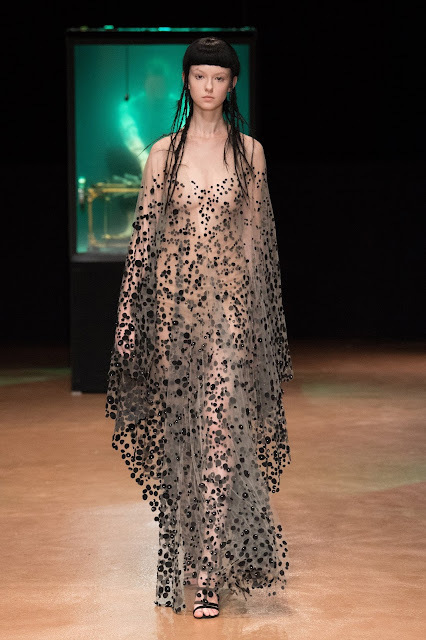 The Dutch fashion designer showcased her Aeriform collection earlier this week as part of the haute couture shows in Paris. 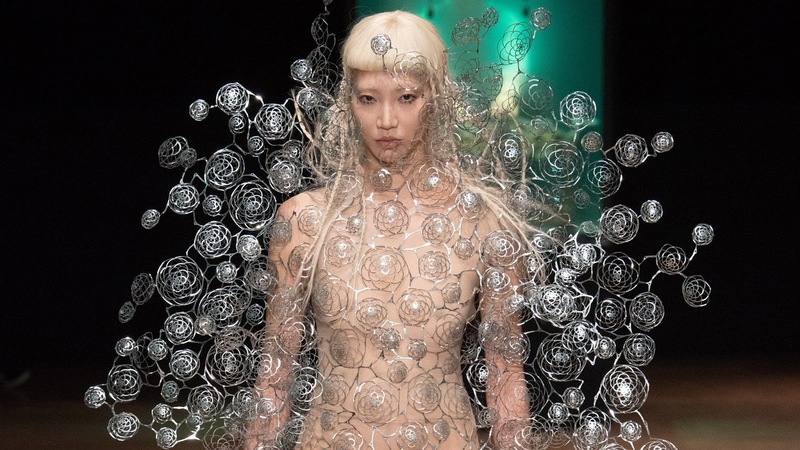 Each of the 18 pieces, which featured biomorphic elements and rippling fabrics, were informed by Van Herpen's fascination with the elements.